Very few people make a decision without carrying out some form of research. Be it a new cellphone, a car, a house, or even buying a business, you simply don’t walk into a purchase blind. Research is what can make the difference between success or failure. The same theory can be applied to brand and market research, helping to mitigate risk and provide your company with focus moving forward. 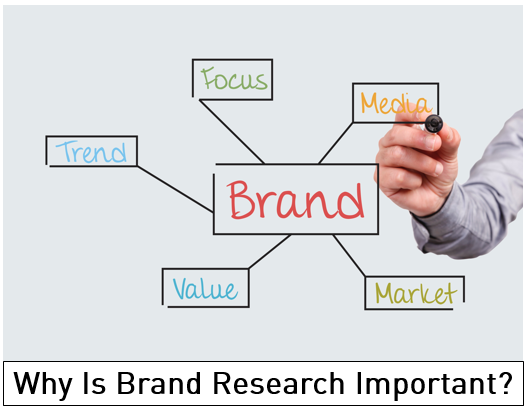 In this article, we will look at some reasons why market and brand research is so important. At the top of the list of reasons why market and brand research is so important is the opportunity to improve efficiency within your brand. Business is all about return on investment (ROI), and a successful brand will see regular healthy ROI throughout the year. If you embark on a marketing strategy for your brand without doing the necessary research, you’ll find yourself throwing money down the drain more often than not. A sound marketing plan backed with proper investment will set your brand up for success moving forward, but only if you carry out research efficiently. Another massive benefit of brand and market research is that you’ll uncover issues that your brand may be suffering from, or even be able to spot potential problems before they arise. Issues such as poor audience targeting are not always easily identifiable from the outset, and market research will go a long way to uncovering any issues you may have. Another issue that can go undetected until it becomes a chronic problem is how your brand is perceived by your audience. Proper research can allow you to keep on top of issues before they really begin to affect your brand, and will also give you the information required to make small changes today so you don’t have to make sweeping changes tomorrow. It would surprise you the amount of businesses who go from day to day unsure of what exactly their customers are looking for from them. They waste thousands of dollars in product and service development that simply isn’t providing what their customers require. Taking the time to carry out a little bit of market research will make sure that your brand is attracting the right customer base, and providing them with the kind of service or product that will not only keep them coming back for more but will help to create brand ambassadors within your customer base. There is nothing quite as valuable as the recommendation of your brand from a customer to their family or friends. That kind of marketing is priceless. Many times you will carry out some market research only to find that the results open an entirely new door for you to provide a service to your customer base. For example, Starbucks has always been at the forefront of the coffee business, both in the US and also overseas a bit later. Almost thirty years after the first Starbucks opened its doors for business the brand decided to branch out and offer snacks such as cakes alongside their coffee line in their stores. They also introduced their famous loyalty system in 2008, which has gone on to become wildly popular among their customer base. On both occasions, market research was carried out, and the success of the brand was increased by simply listening to what their customers were telling them. They took the opinions of their customers and used the information to identify new opportunities that would allow them to serve them better moving forward. Brand and marketing research is essential to the success and future of any business or brand, so if you’re looking to move to the next level, it’s something you should really be looking at.